Love In The Lowlands is a research documentation of unconventional love in the Dutch landscape. 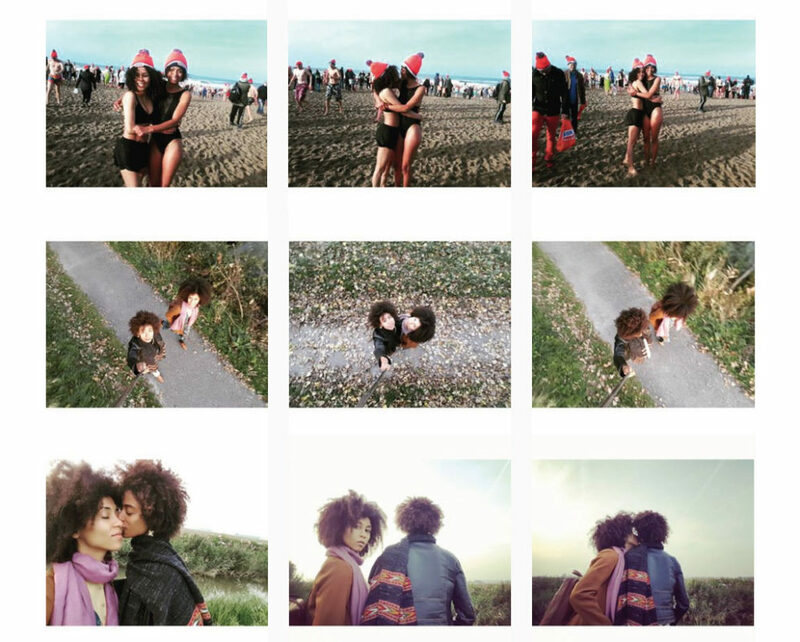 Through the act ‘selfie-ism’, a modern day self-portrait technique, we situate ourselves in this Dutch landscape as two queer immigrants of African decent – in love. In this context we flirt with safety and insecurity, acceptance and rejection, belonging and alienation, privilege and pains and the reclaiming of our history, dignity and truth in these spaces. Our very presence is this country is political, played out by historical power structures, yet we nestled in Amsterdam passionately by choice. Through photography, film, fashion and song we portray our process of ‘rooting’ and ‘making home’ of places we struggle(d) to feel as ours. We delve into stereotypes of belonging; brown bodies in the Dutch landscape, queer bodies in heteronormative society, female bodies in a ‘man-made’ piece of land. The cities, the fields, the weather, the culture(s) and people have charged us with a certain energy and various perspectives on life on this soil, which reflects in our lives and creative expressions.Yet, we believe that this land adapts to new climates, conceptions and dreams, and, as seeds we plant our presence with prominence through Love in the Lowlands.